We're recreating looks we love with thrift or from our closet over at Thriftanista Social Club. 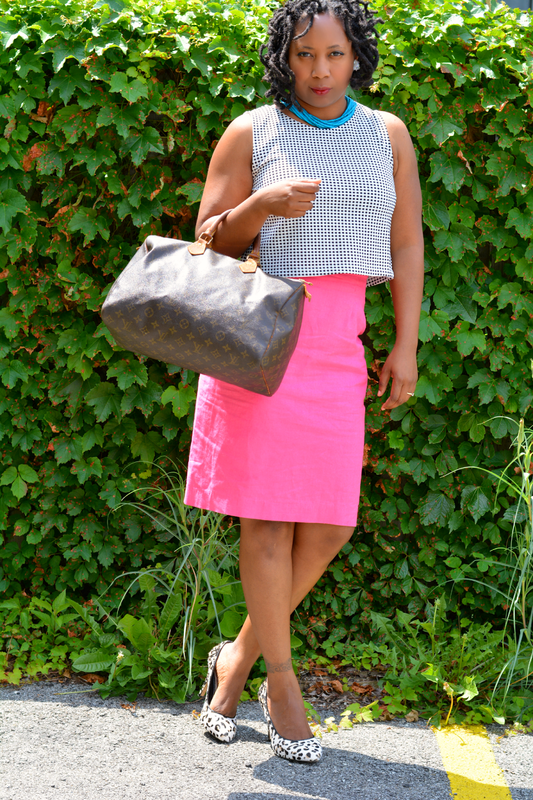 I chose a simple crop top and pencil skirt from my favorite YouTube series -- An African City. The show is packed with inspiration. Everything they wear is drool worthy. I really need to get back to sewing or go on a shopping trip to Ghana. I wasn't able to get into a thrift store to look around for style possibilities. I think this Goodwill thrifted Mike Gonzales top would have been a good match for the blouse but I am no longer the owner. It was a subscriber purchase. Instead, I went with a crop top to match the black/white boxy cut of the inspiration piece. 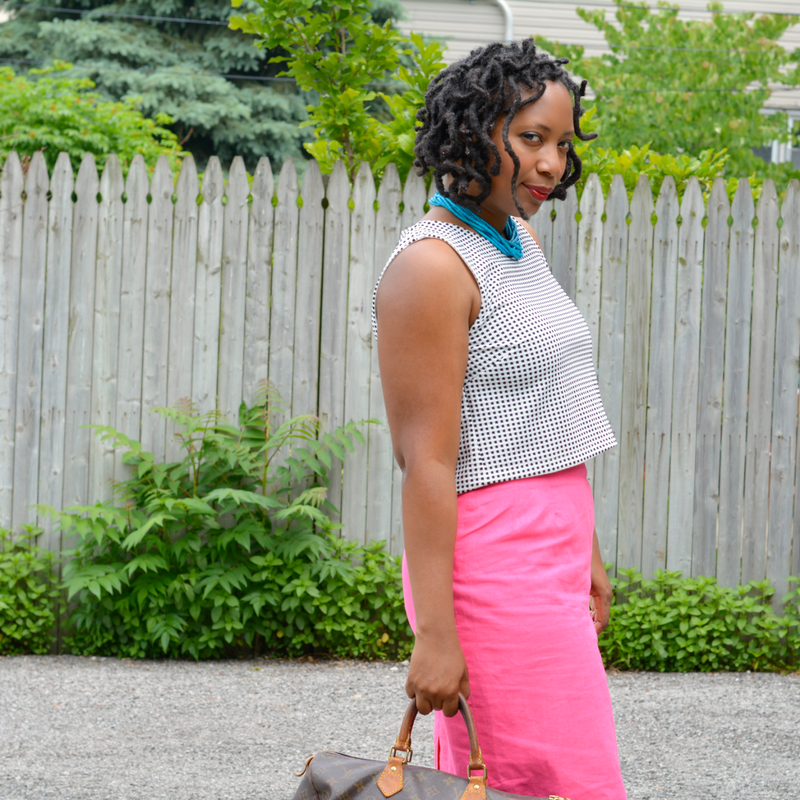 I didn't have a midi pencil skirt so I went with a bright pink pencil skirt that coincided with the vivid color and shape of the turquoise one. 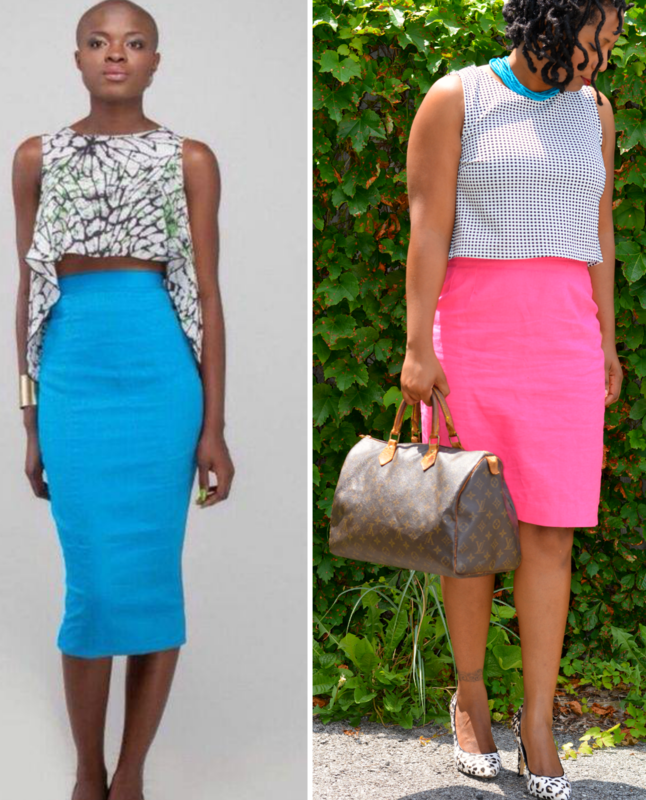 I copied the color blocking with my necklace and skirt and brought in contrasting prints with the crop top and panther print pumps. Skipped the cuff altogether but I definitely want to put it on my summer thrift wish list. 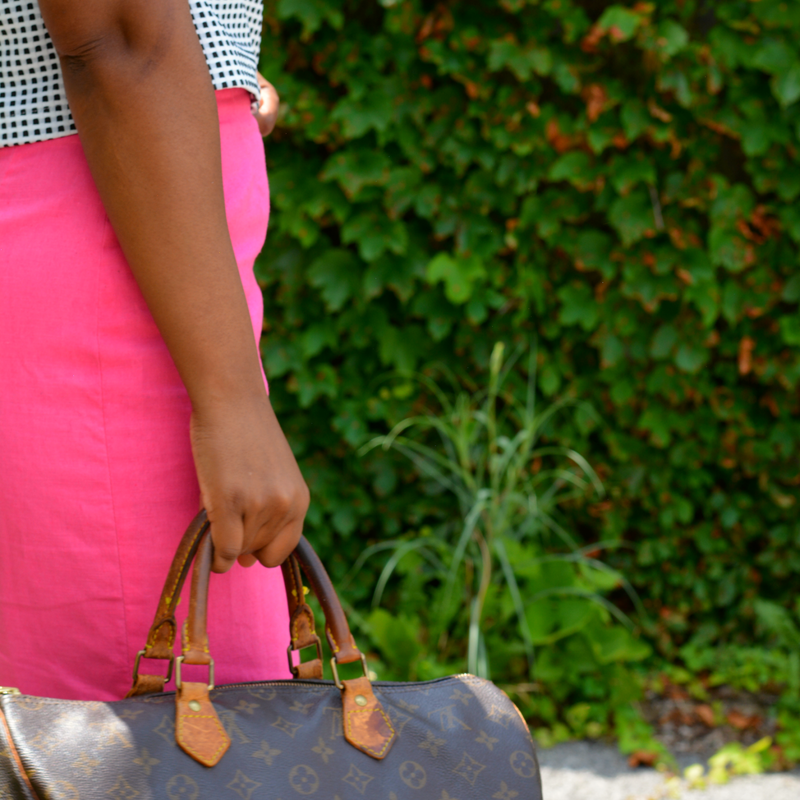 Now about that Louis Vuitton Speedy 35 satchel found at an estate sale. Yep, found it Friday and sold it Sunday. It was in The Thriftanista Closet for about 5 minutes. It was too big for my lifestyle but it's a pretty exciting find! It's a rarity in the thrift streets. This is another example of how much estate sales rock. I scored the bag plus some other goodies for $50. You won't find the bag on eBay for less than $150 and the current retail price is $990. You can see other pieces from this thrift haul on instagram and facebook but that's still not everything! If you're not hitting up estate sales, you need to give it a try. Visit estatesales.net for sales located in your area. What's your summer style inspiration? 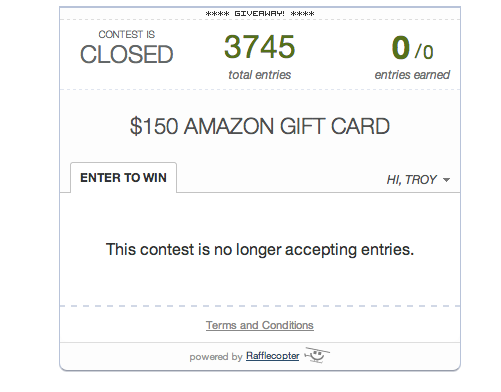 I teamed up with a few friends to sponsor a $150 Amazon Gift Card Giveaway! This is a great opportunity to discover new blogs plus you could be a click away from a $150 prize. The more you follow, the more chances of winning. A winner will be randomly selected on July 4th. Good Luck! I so wanted to have that! If you find anymore I'll pay a holding fee!